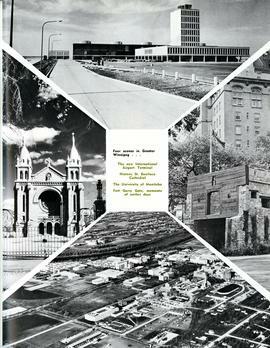 Print is a photographic image of the Manitoba Legislative Building in Winnipeg. Date of print is uncertain, [193-?]. Main Street - Looking South from City Hall - Winnipeg, Man. Postcard shows black and white drawing of Main Street with bustling activity.